How can I find out how a country has voted in the General Assembly? - Ask DAG! How can I find out how a country has voted in the General Assembly? 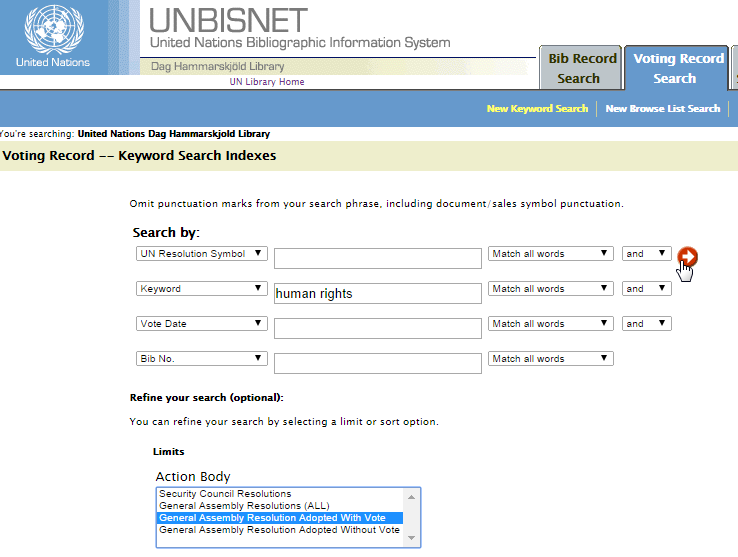 Information about votes in the General Assembly can be retrieved through the UNBIS Voting Record database. Here you may search by resolution symbol, keyword and the date of voting. It is not possible to search by country. 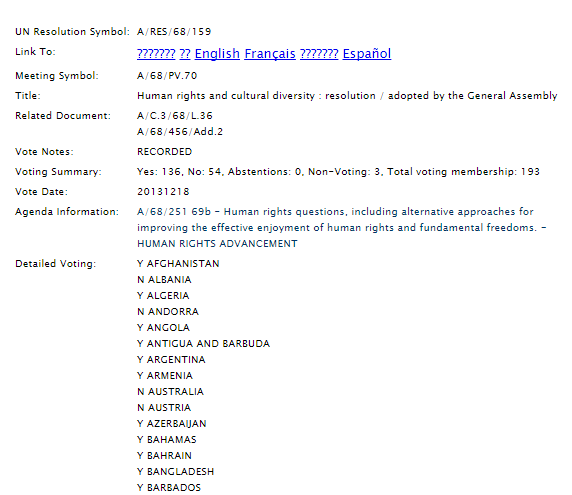 To find how a country voted, limit the search to General Assembly Resolution Adopted With Vote. From the search results page, click on the title of the resolution to see the full vote information. The Index to Proceedings of the General Assembly (ITP) contains a Voting Chart of resolutions adopted, indicating the vote of each member state. Consult this to find out how a country voted during a session of the General Assembly. The Index to Proceedings is available from the Library website.